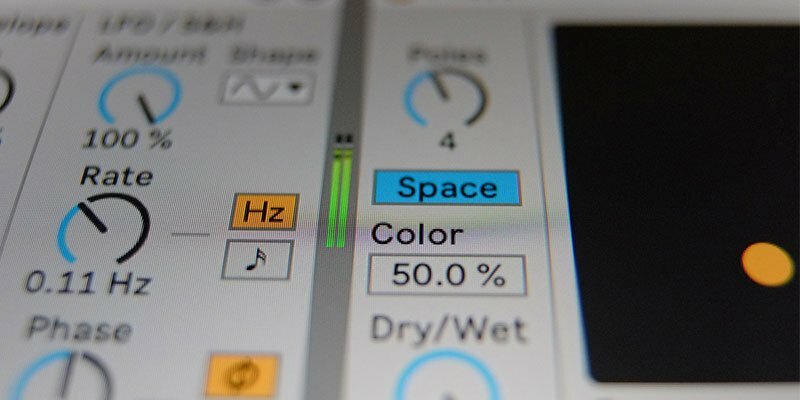 The Flanger, Phaser and Chorus devices are probably among the most under-used effects within Ableton Live – at least compared to the so-called “bread-and-butter” EQ and Reverb units. However, with a little bit of know-how, the trio of modulation effects can be powerful tools for breathing life and movement into otherwise static or repetitive sounds. In the video below, Melbourne-based electronic musician and Ableton Certified Trainer Tom Cosm builds a track using Flanger, Phaser and Chorus on every part – showing how the devices and their controls work in a musical context. Those already familiar with the three effects can skip ahead to the 18:00 minute mark where Cosm demonstrates a very cool technique for controlling multiple parameters with one macro – modulate the modulations! The Specysope, Tom Cosm’s snazzy combination spectrogram/oscilloscope device he uses in the video above, is available as a name your price download. Robert Lippok demonstrates his simple but effective technique for using Chorus on sine waves.